Looking for the best price on a Hornby train set or trying to find the the biggest discount for that model train you’ve been saving for? These tricks will save you pounds. 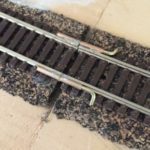 Okay, they aren’t really tricks as such but little known features within Amazon – the world’s largest online shop and where you can get just about every new Hornby, Lionel or Märklin train. Warehouse Deals are Amazon’s equivalent of factory seconds, products that have been returned, warehouse-damaged, used, or refurbished but which are still in very good quality and covered by Amazon’s satisfaction guarantee under which the items can be returned if you are unsatisfied with them for any reason. This is usually where you can find the best prices. At the time of writing for example the Hornby OO gauge 2014 Eurostar train set which has an RRP of £171 and normally on sale at Amazon for £141 (already 19% off) was on offer in a warehouse deal for £110! A bonkers discount! What’s on offer varies but there are usually several train sets or locomotives on offer and it would be my first place to look for start train sets. Extra: I follow Amazon closely and circulate the deals and offers I find on trains via my Twitter and Facebook feeds and any really good offers to subscribers to my ‘Footplate’ email updates. Subscribe and follow me and you don’t miss out. Amazon Prime is a paid service that gives members free e-books, video streaming and most importantly, free two-day and occasionally same day postage. It does however cost quite a lot – around £80/year if I remember correctly. As a huge user of Amazon for me that makes a lot of sense but if you don’t want to buy it there’s still a way to get its postage saving cost. Simply find a family member who has it and ask them to add you to their account. Amazon allows family members to be added for free and then you can take advantage of the free shipping. 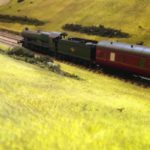 For a standard Hornby train this save around £5 so it’s absolutely worth making a few calls to find if anyone in your family has prime membership. On the subject of Amazon Prime, higher education students can get a free six month trial (and then a reduced rate) of the service – including the postage benefits. Sadly, my student days are behind me but if you pass the high ed student requirements (click on link for details) it’s a no brainer to get. See Amazon Student for more information on this offer. Along with warehouse offers mentioned above, this is my favourite technique for getting lowest prices. Browse the Amazon store, login and add the Hornby train set you’re after to your basket. Now wait. Give it a few days and check your email. To entice you to come back and finish the order, Amazon will sometimes send vouchers or special offers for the items in your abandoned shopping basket. It doesn’t always work, and seems to work better on big ticket items like the Eurostar train set or Flying Scotsman, but there’s nothing to lose so give it a go. In my experience this is the least effective channel to find savings for model trains but others have had more luck. The offers change daily but it’s worth keeping an eye on as Hornby trains do occasionally pop up. Keep an eye on the trains you buy from Amazon even after you’ve bought them. If you see the price drop in the 7 days after the delivery date contact them and you could receive a refund on the difference. I’m a big fan of Amazon – I’ve been a customer since 1999 (and that makes me feel sooooo old!) – and have picked these up over the years. If you find any other tips I’d love to hear them.